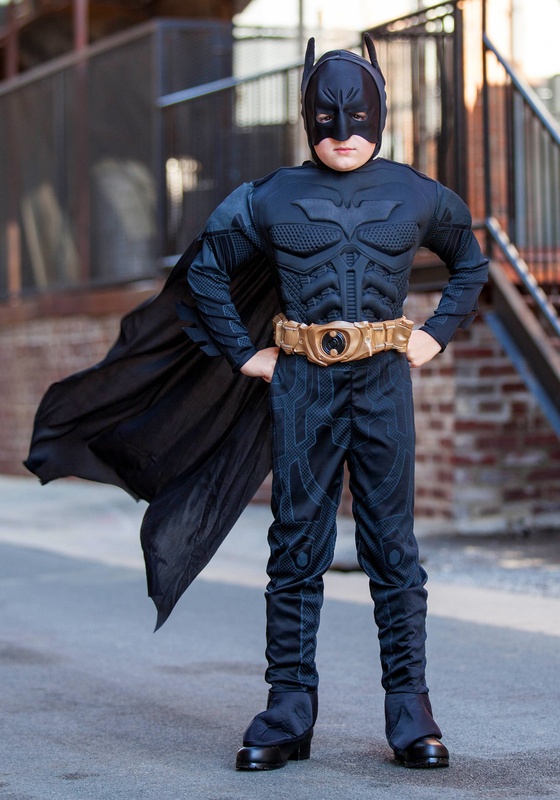 If your kid simply loves Batman and you are searching for amazing Halloween costumes for him/her, chances are that you regard the entire process as dreadful. The reason why this happens is that the market is flooded with countless similar options that you can choose from. To be of help to you, we have put together a list of Batman-related options that you can browse through before you make up your mind. So, read on, decide, and start shopping! This Batman costume features a muscle chest jumpsuit that has 3D gauntlets attached to it. The item also incorporates boot tops, as well as a mask, a cape, and a yellow belt. Moreover, because this model is a licensed DC Comics costume, you can be sure that it’s 100% authentic. What is more, this product is made from polyester, and the featured mask is constructed from polyethylene. As a result, it can stand the test of time. The model is sized for children, and the seller provides interested buyers with an easy-to-follow sizing chart so that you can be sure that you have picked the correct one. If you are looking for great superhero costumes, this next choice should also make it to the list. The product is entirely made of polyester, and it comes supplied with a mask and a cape made of PVC. Also, the jumpsuit is printed with the Batman logo. According to the seller, this choice has a bold design, and it can surely make your little one stand out during trick or treating. The recommended age for this model is between three and four years. A very helpful sizing chart is also made available by the seller. The costume has to be hand washed in between uses. Another choice that you should consider is this next costume distributed by Babylian. The item has an eco-friendly design, and it is made from soft and safe materials so that your little one feels comfy while wearing it. 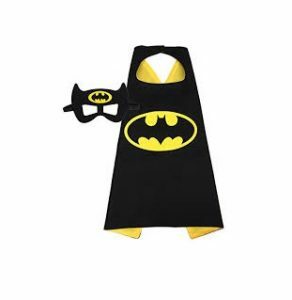 This set is particularly popular among children that are over three years old and that have a soft spot for Batman. The mask included in the deal is adjustable, as it incorporates a convenient strap. The costume consists of a cape and a mask, and it can be used for Halloween as well as for children get-togethers and playing sessions. If your child is over trick or treating but is still searching for a suitable item, be sure to take a look at the Rubie’s Batman T-Shirt. This option consists of a Batman-inspired T-shirt that is easy to wear all year long, an attached cape, and a mask. The whole costume is easy to care for as it is made of polyester. Hence, it can be machine washed whenever necessary. On top of that, you should know that this product is marketed as an officially licensed DC Comics costume. As expected, a sizing chart that can help you select the correct size is available. If you have a newborn baby girl, and you intend to take her trick or treating in a memorable first costume for the next Halloween, this alternative sold by Bluebaby will undoubtedly catch your attention. The option is made of cotton, and it is highly comfortable. Besides, the manufacturer provides users with four different sizes. Therefore, you can order one that will certainly fit her. When shipped, this choice includes a fancy headband and a cute romper. According to owners, this choice is simply adorable. Also, it has an easy-to-close system that ensures that it stays in place at all times. Among the ranks of traditional, so to say, superheroes, it’s quite safe to assume that Batman occupies perhaps the first place. The origins of Batman can be traced in the 1930s-1940s, a period in which the first comics with him as the main character appeared. The 1960s were the decade when the first Batman movies were also made, with the face and the name of Adam West leaving an everlasting impact upon Hollywood and television alike. Ever since, Batman remained a figure deeply rooted in modern culture, with generations and generations of kids (especially boys, of course) dreaming about impersonating the famed “caped crusader” in his continuous fight for justice. It is, therefore, no wonder that an awesome Batman Halloween costume would represent one of the first choices that first come to one’s mind when thinking about picking a cool superhero outfit for Halloween. However, keeping in mind the various transformations Batman’s costume underwent during the movie series that were made along the years, it might be quite challenging to choose the best Batman costume replica for your tastes and preferences. We have created the guide below with you in mind, so don’t despair. To begin with, making an informed choice about the best Batman costume for sale is not that difficult if you happen to be a fan of the series. 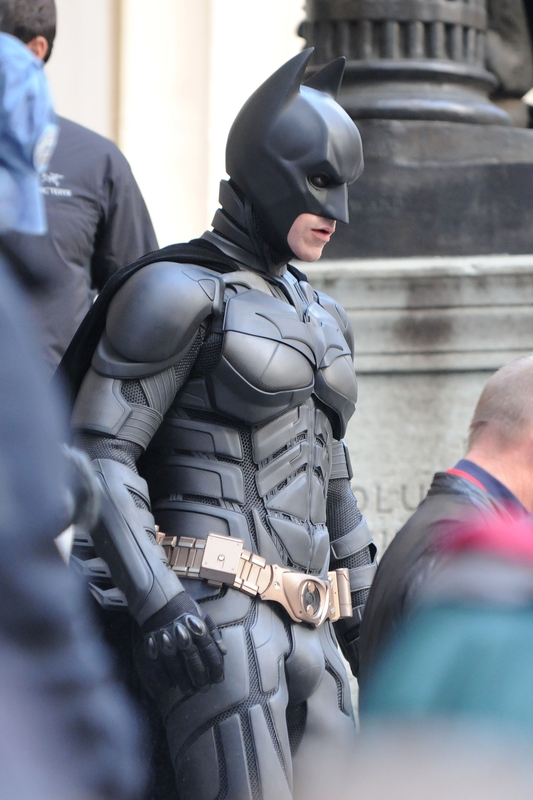 So, having seen most of, if not all, Batman movies, choosing a fitting costume for Halloween should be an easy task. The only question which poses itself is where to acquire it. In this constantly evolving world and with information at the very tips of your fingers, the Internet presents itself as your most convenient option. Tens of sites advertise buying the best Batman costume ever, so from this point of view, you should be covered. The other option is going out and doing some research about the best places where you can find a Batman costume. 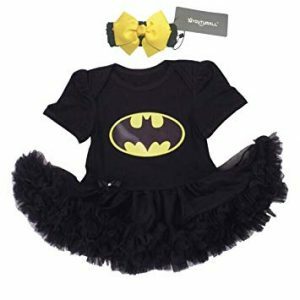 Especially during the Halloween season, many stores and supermarkets stock on costumes of all sorts (depending on their offers and storage capacity) and you might just have the luck to find a Batman outfit suited to your needs. How often can I wear my cool Batman costume? If you just found and intend to buy a Batman costume, no matter its degree of coolness, you sadly won’t be able to wear it more than once. For Halloween, of course. Sure, if you wish to host a costume-themed party during other periods of the year, you just found another occasion. Apart from that, it’s really tough to look appropriate in your bat costume. As with a brand new Spiderman costume, the bat suit you have set your sights on has to fit you. Otherwise, we could go on about funny batman costumes in this article, but we would kinda miss the point, even if this is all about Halloween. Therefore, whether you ordered it online or went out and found it, try your Batman suit on and make sure everything falls naturally into place. 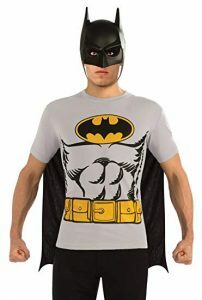 Your “caped crusader” look would only suffer if it were too tight or too large, not to mention your symbolically tarnishing Batman’s great reputation as a superhero. The length of the cape can vary, but the shoulders, the chest and the legs should drape naturally and fit smoothly, without restraining your movement. Of course, the material the costume is made of can vary from cotton to rubber or spandex, so you have to take that aspect into account as well when you find it, try it on and, ultimately, purchase it. When searching for a bat costume for Halloween, keep in mind the age and preferences of the person destined to wear it. Is it for yourself? Cool. Then pay attention to the age range of any potential Batman suit you find and like so that you don’t end up with the wrong size. Is it for someone else? As we mentioned at the beginning of this article, there is a strong chance that a true Batman fan might desire a suit that closely resembles the one in his favorite Batman movie. If you search online for pictures, you’re sure to find one that shows the evolution of the bat suit from the 1960s up until to the 2010s. Therefore, if you want the suit for yourself, all the better; you’re set on what type of design you’re looking for and maybe even where to look. If it’s for somebody else and that someone is such a fan try to find out which movie he liked best so that you can truly surprise him with a well-thought gift for Halloween. As for the accessories, many stores sell not only Batman suits, but also Batarangs (shuriken-like bat-shaped steel projectiles), the gloves, the boots or the famous yellow belts which hold climbing ropes, for instance. 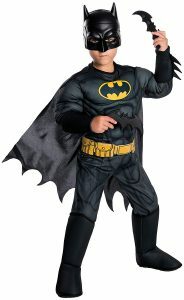 At the end of our guide, we can assert that purchasing a cool Batman costume for Halloween is sure to attract the envious looks of other family members or friends. You are, after all, dressed up as the most renowned justice fighter in the world of superheroes and that comes with the responsibility to have as good a time as possible while trick or treating or simply showing up at that posh Halloween party you’ve been invited to. So gear up and go for it! Who knows, you might just encounter a Joker, a Penguin or a Catwoman you can stage a mock fight with, as well. Have fun!